At times over the last few years, German politicians have dreaded the choices that Greek voters were about to make. 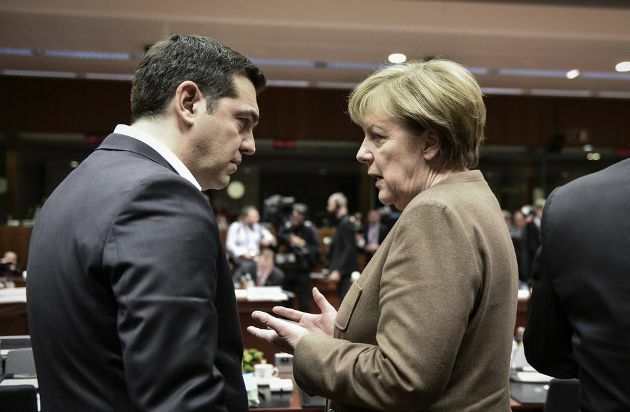 It is now the turn of Greek politicians to agonise over the choice that German voters have made. There is no disguising the fact that the outcome of Sunday’s elections in Germany was fairly close to being the worst that Athens could have hoped for. Chancellor Angela Merkel won, but with weakened support, perhaps creating a new dynamic between her CDU party and its more conservative Bavarian sisters, the CSU. The SPD meanwhile, suffered a devastating result that convinced the social democrats that they should stay out of the next government. Their absence means that Greece loses a strong advocate within Germany for debt relief, although the SPD’s effectiveness in shaping policy on issues relating to the Greek programme was questionable. Also, the FDP liberals, who raised Grexit as an option during the campaign, made a strong return to frontline German politics. The 12.6 percent and 93 seats won by the far-right AfD is an even bigger concern due to the effect that this could have on shaping Merkel’s agenda. The chancellor has already indicated that she would like to win these votes back. The only consolation for Greece was the competent showing by the pro-European Greens, who will participate in the next government if Merkel is able to bring together a three-party alliance that will include the FDP, the so-called “Jamaica” coalition. If such a government is formed, then there are several issues that politicians in Athens will be concerned about. During the election campaign, Merkel suggested that the European Union accession process for Turkey should be brought to an end. This is not a position that Athens agrees with. Speaking at the Thessaloniki International Fair earlier this month, Prime Minister Alexis Tsipras called for the talks to continue. For the last three decades, Greek foreign policy regarding Turkey has been based on the prospect of Ankara at some point becoming an EU member. This has not only regulated relations between the two countries, to a great extent, but it has also given Athens some leverage in its dealings with the Turkish government. If the promise of EU membership is withdrawn, Athens will have to rethink its approach and will lose a vital foreign policy tool in dealing with an unpredictable neighbour. Another related issue which could be impacted by the change of government in Germany is the approach that Berlin will now take to the refugee issue. Merkel’s partner, the CSU, has already indicated that it wants a cap on the number of refugees that Germany accepts. The number of asylum seekers going to Germany has been falling since 2015, when 890,000 entered the country. In 2016, the number dropped to 280,000. It was less than 61,000 in the first four months of this year. Germany, however, remains by far the largest host in the EU for refugees and the prospect of a limit on the number of asylum applications accepted each year could have negative consequences for Greece. There are already concerns about the increase in overcrowding at the hotspots on Greek islands due to the recent uptick in arrivals. After negligible arrivals during the preceding months of the year, there was a noticeable rise in August and September. Nearly 3,600 people arrived in August (slightly up on last year), according to the UNCHR. The arrivals for September have already exceeded 4,000 whereas a year earlier they came to around 3,000. On Lesvos, for instance, there are nearly 6,500 refugees and migrants on the island, according to official figures. The maximum capacity is for just over 3,000. This prompted the island’s mayor Spyros Galinos to write to the European Commission and Greek government earlier this month to ask for assistance. The limited scope and slow pace of the relocation process and the fact that Germany is now sending asylum seekers back to Greece under the Dublin regulation, albeit in small numbers, means that Berlin limiting the number of refugees it accepts could leave Athens with a serious logistical and humanitarian problem on its hands. Apart from the pressure it could put on authorities, lives may also be at risk. It should not be forgotten, for instance, that there have been deaths at facilities in Greece, especially during the winter. The German election result also creates uncertainty about the likelihood of any significant changes being made within the eurozone in the coming years. Athens (coalition and main opposition parties alike) has been broadly supportive of French President Emmanuel Macron’s proposals about how to strengthen the eurozone, with the idea of an ample budget, funded by a common tax, to boost investment and cushion the impact of crises being a particular favourite. Even before Sunday’s elections, there were doubts about how enthusiastically Berlin would buy into Macron’s vision for euro area governance. Following the election result, this scepticism is even greater. The CSU rejected the proposals Macron made in a broad-ranging speech on Tuesday. They are “unsuited to moving Europe forward,” the Bavarian party said. The AfD has also expressed its concerns, fearing that Macron is relying too much on the role of the state and advocating something that is too close to fiscal transfers. It is expected that Merkel will have very little leeway to take Macron up on his proposals regarding the eurozone, although there may be more common ground on other issues, such as immigration, security, environment and education. This would mean the political system in Athens putting on ice any hopes it has of the euro area governance being remodelled to better suit Greek needs. There is, however, a more immediate concern for Greek decision makers, which has to do with Berlin’s position regarding the bailout review that should be completed by the end of the year, and the subsequent path to Greece’s exit from the programme in 2018. The FDP has taken a hardline stance on Greece during the campaign, with its leader Christian Lindner suggesting that he would be prepared to agree to substantial debt relief for the country if that also meant that it would leave the euro. In contrast, the Greens have been more sympathetic to Greece’s plight and have favoured a debt relief deal. Earlier this year, the Green Party argued that Berlin should return any profits from Greek loans and bond purchases to Greece. “It might be legal for Germany to profit from the crisis in Greece, but from a moral and solidarity perspective, it is not right,” Sven-Christian Kindler, budget policy spokesperson for the Green Party, said at the time. The strong showing of the AfD is a worry for Greece because the nationalist party was created four years ago mainly in opposition to the eurozone bailouts, although it has since moved to other areas of focus, such as Islam and migration. Its presence in the German parliament could trigger a much more conservative approach from Berlin on issues such as debt relief. Alexis Tsipras’s hope had been to complete the current review as soon as possible so that the discussion on debt relief between the European lenders could resume early next year, allowing time for an agreement to be reached before the third programme ends in the summer. This process has become more complicated as a result of Sunday’s election result. Speaking at a press conference on Monday, the FDP’s Lindner identified the IMF’s participation in the Greek programme as a must for his party. However, the IMF has also asked the European creditors to provide Greece with significant debt relief, which may be beyond what a “Jamaica” coalition in Berlin will be able to agree on. Amid this current fog of ambiguity, the only option the Greek government has is to complete the third review on time (by December), while the current CDU-SPD government is in place, in the hope that it avoids any surprise demands from the lenders. This will bring it a little closer to the programme exit and will, at least, prevent sceptics in Germany from accusing Athens of not being cooperative and, therefore, beyond salvation. If delays and complications are avoided, then the pressure will be on Merkel to find a way to avoid ruffling feathers in Berlin but also keep to the debt relief commitments that were first outlined in 2016 and updated just this summer. At this point, Greek politicians will look to Germany in the hopes that their colleagues there live up to their pledges, completing the disconcerting role-reversal that is unfolding. Schauble is a capable politician who should have been Chancellor, however, Merkel's weakness does not allow for 2 powerful figures in government, so he must be now sacrificed. Merkel's ambition is to be the forever Chancellor and Schauble is a rival so he has to go. If Schauble is as tough as he has been on Greece, then what he has to do is to eliminate Merkel by forcing new elections with him at the top of the ticket. Can he do it? I doubt it because Merkel's drive to stay in power is truly psychopathic. And I also think is truly disgraceful for Schauble to be a traffic cop in a parliament whose obedience is already a given. There is not going to be a Jamaica coalition. In the end, the SPD would be "persuaded". Merkel is faking weakness so that the Macron factor is contained and ultimately silenced.